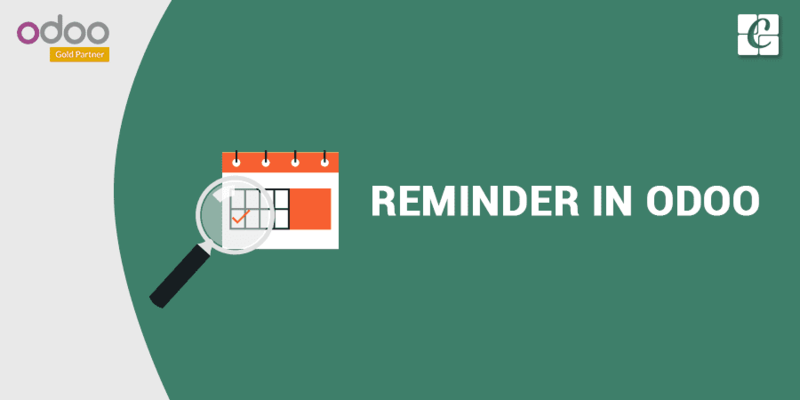 This Blog helps to set reminders in Odoo. Presently, Odoo does not have any options to set reminders. This blog is about the ‘Reminders’ App developed by Cybrosys. In a business domain or any working companies, it is always necessary to memorize some important days, especially the project deadline dates, expiration dates of the product, employee contract period etc. Forgetting important dates will cause losses. Reminders App is a solution to this problem. 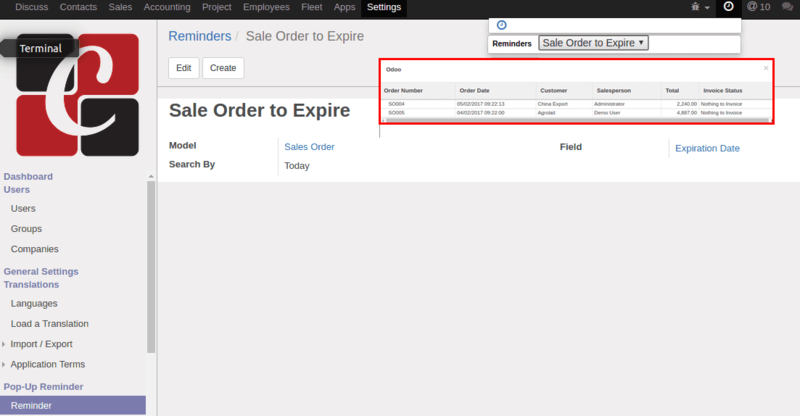 This example is a reminder for the expiration date of sale orders. When we set this reminder, a popup of all the sale orders with the current date (Today) as the expiration date of orders is shown. This way manager or the concerned authorities can easily sort or manage sale orders. Another example is Manager can set Task Deadline Reminders, which will display all the tasks with deadline date as the selected Date. These are just examples. Similarly, we can set reminders for all the models available in odoo. Today Compares to the current date. In the top-bar menu, we have a button for the reminders. Click the button and Select the reminder from the list of reminders. Then the result of the reminder with detailed information is shown. Can i have link for module, for Odoo 10 ? Thanks A big thumbs-up for all the great work !